Is there a better alternative to MacLockPick? Is MacLockPick really the best app in Security category? Will MacLockPick work good on macOS 10.13.4? 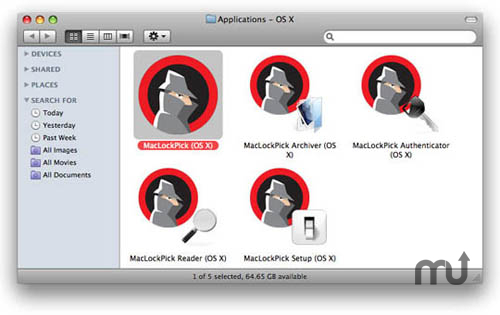 MacLockPick 3.0 is a fully cross platform tool that allows digital forensics professionals and eDiscovery experts to perform field triage on live computers running a wide variety of operating systems. Similarly, once completed, the results of the field triage operation can analyzed on a wide variety of computers. MacLockPick needs a rating. Be the first to rate this app and get the discussion started! Comprehensive forensic applications such as MacForensicsLab focus on the analysis of static data. However, the need to capture live data has become paramount in an environment wrought with forensic pitfalls such as encryption, malicious running processes and networked storage pools. In cases such as child abductions, pedophiles, missing or exploited persons, time is critical. In these types of cases, investigators dealing with the suspect or crime scene need leads quickly; sometimes this is quite literally difference between life and death for the victim. MacLockPick 3.0™ is an indispensable tool designed for first responders and law enforcement professionals performing live forensic triage on most computer systems. The solution is based on a USB Flash drive that is inserted into a suspect's computer that is running (or sleeping). Once the MacLockPick 3.0 software is run, it will extract the requisite data providing the examiner fast access to the suspect's critical information that may otherwise be rendered unreadable by modern encryption programs, hardware malfunctions, or simply powering the system down. MacLockPick 3.0 is minimally evasive, providing results that can hold up in a court of law.